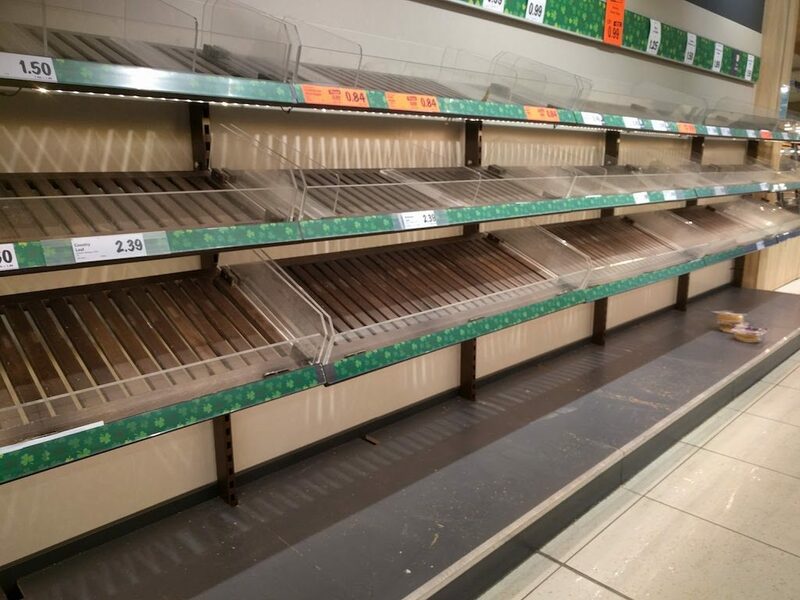 The last few days Dublin, and in fact most of Ireland, was on a red alert due to the heavy snow of the Beast from the East as well as Storm Emma. 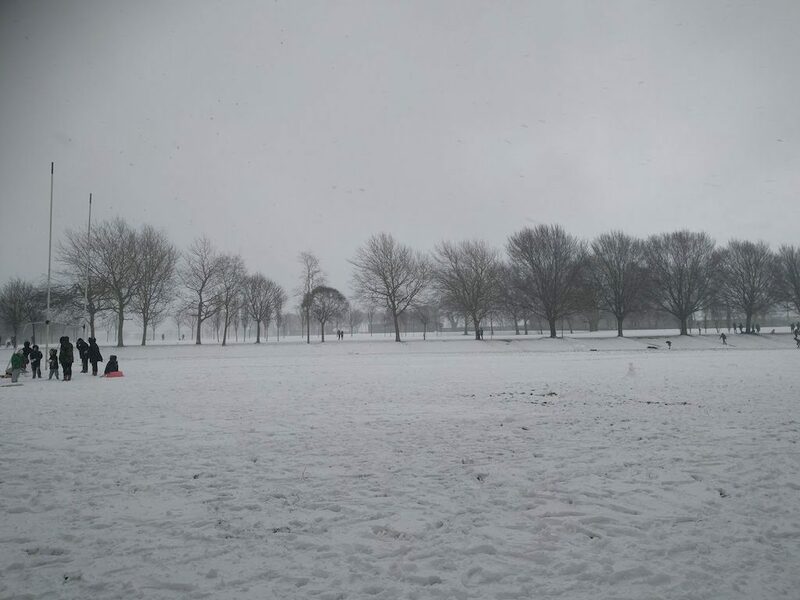 Although I’m from Austria and enjoyed many a winter’s snow, I had never experienced a blizzard before and Sam, being from Barbados, had never experienced much snow before. Some people here thought not leaving the house is overly cautious. Others joined the crowd buying the last bags of bread and stocked up on bottles of wine. Admittedly, we stocked up on 60kg of coal ourselves. Considering the temperatures aren’t supposed to rise much in the next two weeks we may need them. If not we can always use them for grilling in summer…whenever that hits here. But one effect all the snow had is that it brought people together as if we all had gone on a winter holiday together. While I’ve got to admit, the snow doesn’t live up fully to my standards for snow (since there’s too much ice and hail in it), I was excited like a little kid and I wasn’t the only one. We had to work from home, so we waited until out “lunch break” to walk to our favourite local park, Fairview Park. As we got closer we heard children screaming cheerfully. Once we entered the park we realized there were more people there than we had ever seen. 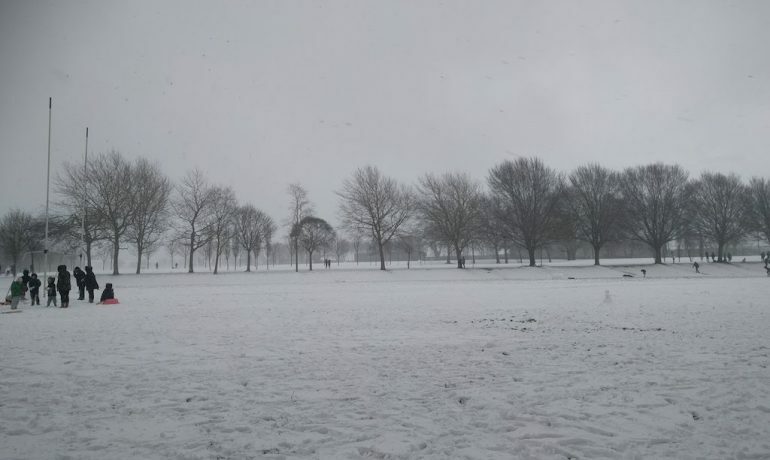 The snow had turned the park into nature’s theme park. People were having snow ball fights, eager to have anyone join who accidentally walked into the crossfire. I also had never seen that many snowmen in such a small space, let alone such huge ones. The snow was flaky and hard to form and yet we’ve had the most fun admiring the creativity of people. One of our favourites, however, is definitely this beautiful igloo so high it was even taller than Sam. Apparently, a few locals had come together, an engineer and architect amongst them, and decided to build an igloo. It took hours but the final result is stunning. The walls are stable, even in the strong winds, and inside the igloo it was surprisingly cosy and warm. 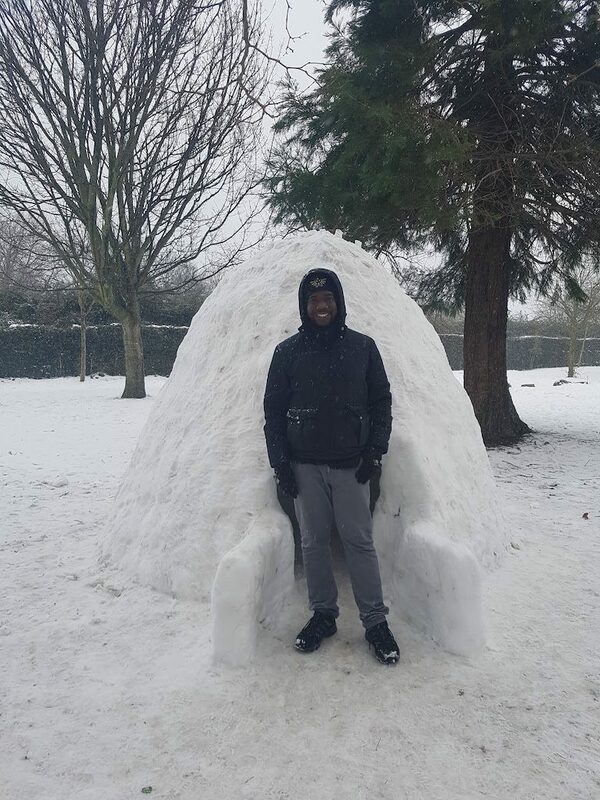 We loved how just random strangers in the local community came together, saw what was being built and joined, as well as, took over the responsibility of keeping up the igloo as others went home. They brought smiles to so many people who stopped to ask questions about it. There was even a queue to take selfies with it.